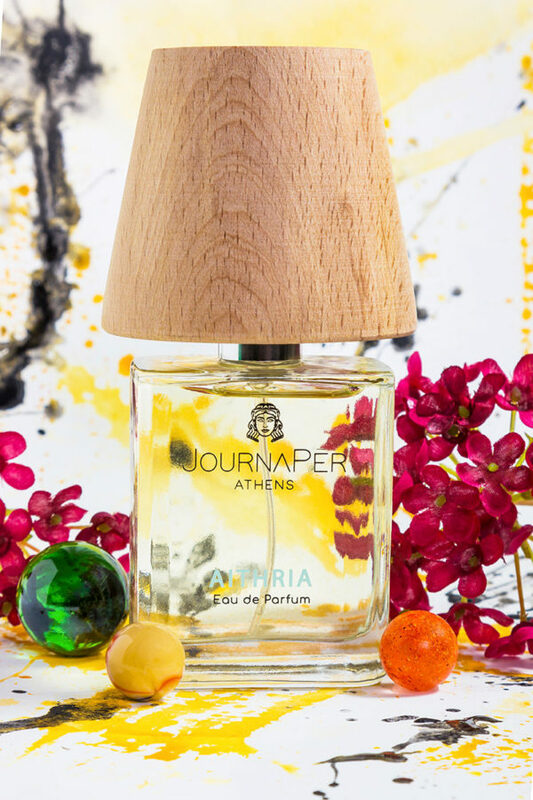 That is the aroma of a Greek summer! 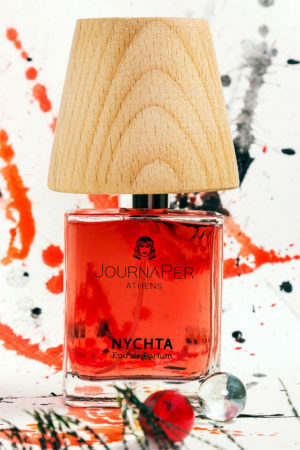 I have always wanted to shield Greek summers in a bottle. The juicy water melon, the melon, the cool sense of cucumber, the aroma of herbs tinkling my nose through the afternoon breeze, the saltiness of the sea, the cosmopolitan Greek islands’ wind, the sunset serenity I enjoy as I lay on my balcony. 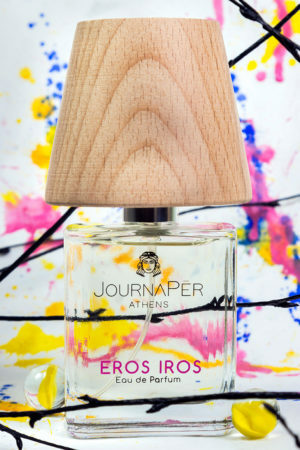 After five whole months in JOURNAPER lab, the most characteristic perfume of Greek summer was realized, and I felt like the happiest perfumer in the world! Just a breath is enough to travel you to the picturesque cobbled paths of the Greek islands! 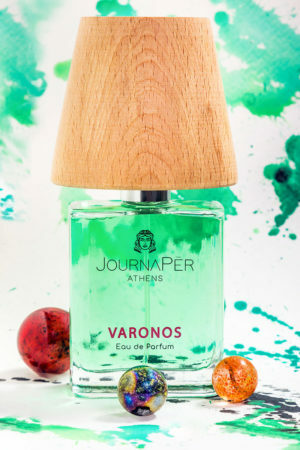 Cool, fresh and delicate, promises to cordially wake you up on a warm morning, to offer its ethereal freshness through notes which mingle the sea and the mountain, the wind and the summer heat, harmony and energy. AITHRIA becoming JOURNAPER bestseller, is now clear to me. It remindes me the summer schent of the neighborhood where I grew up! I would say PERFECT!! !